Philosophical tapestries set in an upstate New York town where crime and corruption expel an impact that lasts generations and decades. 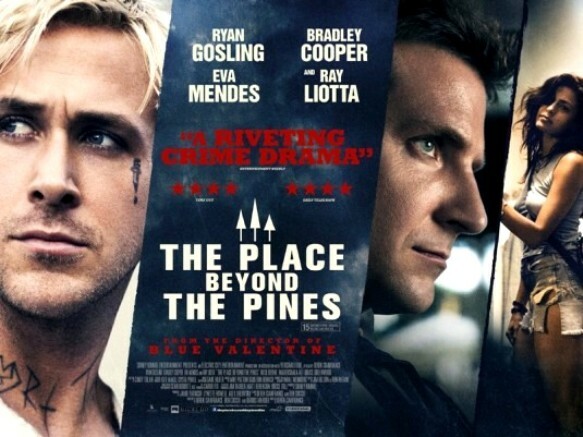 The Place Beyond the Pines is the dazzling and momentous new film by Derek Cianfrance (“Blue Valentine”) that tells three hyperlinked stories where lives are entangled forever through inexplicable events. Ryan Gosling is a motorcycle daredevil who turns criminal so he can impress his “sweetheart” with gobs of cash to support their newborn son (only mom has chosen a different daddy). Bradley Cooper is an idealistic rookie cop with political ambitions. It swings into an unpredictable third story which takes more than a day or two to think about. Ambitious and vividly cinematic, this is perhaps the finest tapestry multi-narrative film since “Amores Perros” and signals Cianfrance as a top-drawer director after only two films. This is the stuff of bold epic novels. The first impression Cianfrance’s film makes is how the recklessness of one person’s life (Gosling as Luke) leads to an altering and influence of life plans for a cop, the son he leaves behind, and the heartbroken mother (Eva Mendes). The film opens with a long tracking shot at a carnival and motorbike show, demonstrating that Luke is obviously skilled, and a little nuts, at what he does. But making a consistent stream of money has not been a talent for him, for traveling carnival acts pays threadbare to the performers. Looking for better pay, Luke takes a peculiar handyman job. Backwoods employer Robin (Ben Mendelsohn), who knows alcohol more than social conventions, turns Luke onto bank robbery probably because he senses the kid’s zesty aggression. The crime drama “Drive” (2011) is a sensible comparison here, and Gosling plays the same type without being the same – new brash layers of uncultivated, sociopathic fury makes his performance different, and a little more impulsively dangerous. Enough bank hold-ups make Luke financially liquid but he does not know when to stop. It’s gotta be more than the money, it’s got to be the exhilaration of living off maniac criminal behavior, right? Luke’s heedlessness of pulling one bank job after another makes him a most wanted criminal by law enforcement agencies. Avery (Cooper) is the cop who follows him on one of their pursuits, and their chance face-to-face encounter changes things forever. 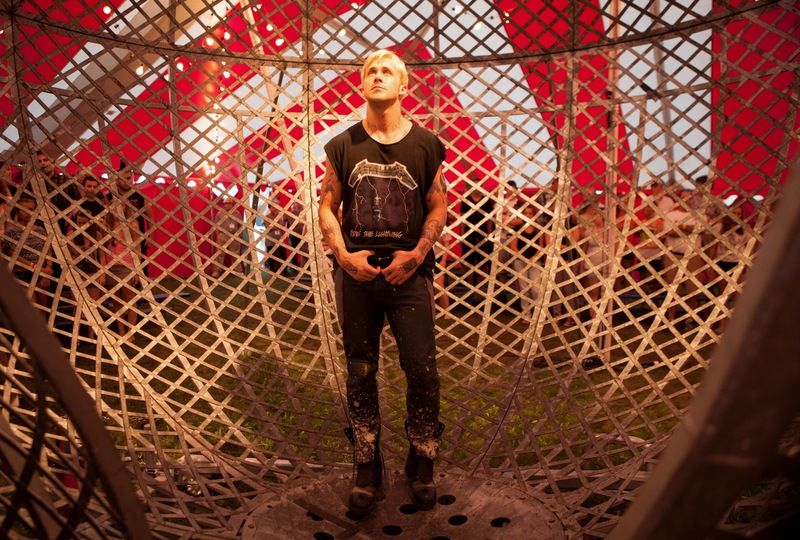 How it festers corruption and distorts decency within certain individuals, how that is dramatized and detailed, and rubs off into the subculture of this particular society, gives “The Place Beyond the Pines” an entirely new purpose in the genre of crime drama. Cianfrance’s visual aesthetics have bloomed since his first outing which depended much on color filters and little jump cuts for “Blue Valentine” to reflect psychological states. He uses his camera now in a Scorsesean meets Soderberghian fashion, the personality-injected camera at will darts around the scenery instead of gazing directly at the characters. Or sometimes the camera is mounted high up in the skyline to follow Luke’s speed demon antics on his motorbike. 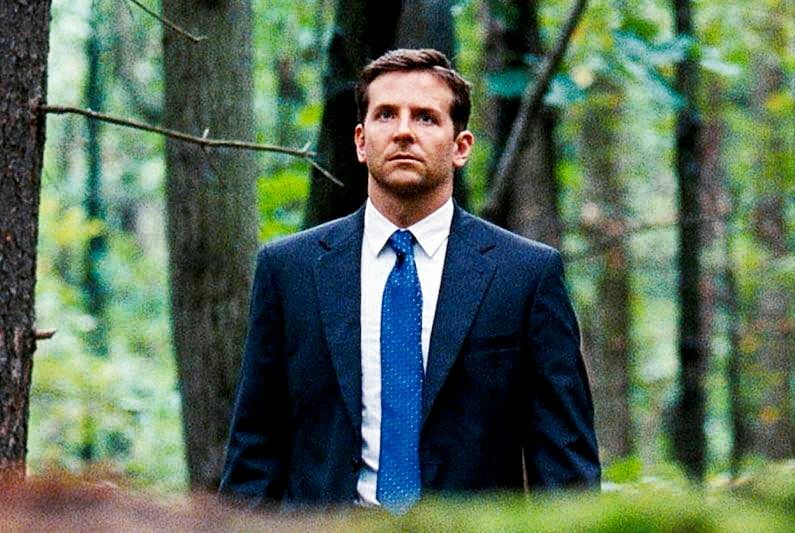 Cianfrance’s astute accomplishment is letting us see how his characters perceive the world, sometimes with grandiosity and delusion. This kind of visual style doesn’t happen in typical B-flicks or crime melodramas. You find it in classics. Also with Ray Liotta, Rose Byrne, Mahershala Ali and Dane DeHaan. Film Cousins: “Three Colors Trilogy” (1994, Poland); “Amores Perros” (2001, Mexico); “21 Grams” (2003); “Cloud Atlas” (2012).